Stor villa, muromgärdade trädgårdar, perfekt för familjer. Stor uppvärmd pool, snooker, bordtennis, wifi, jacuzzi, SatTV, grill. Gångavstånd till affärer, restauranger, strand, Pue. Just arrived back from a brilliant week staying in the Casa De Los Limones. An amazing property with really good facilities, the pictures on line looked good but we were even more pleased on arrival. Villa has really good layout for families, everyone can have their own space if needed. We made good use of the pool surrounded by lovely plants and the beautiful lemon trees - the lemons went well with the gin! Location wise was good for us as we enjoy walking around the area and getting to see how the locals live. The villa is on a quiet street in a residential area but not far from every thing you need - supermarket 5 min walk. We found we did not need to hire a car. We found it to be about a 10-15 minute walk down to the promenade. We caught the train from the airport which was really easy to use and very efficient, about a 10-15 min walk from station - El Pinillo. We used the local buses to get up to Benalmadena Pueblo and Mijas - both worth the trip and only 1 euro 80 cents! Briliant. Lots to see and do in the area and the villa was fantastic to chill out and relax in. We stayed at this property for a week in August 2018. It was a lovely villa with all the amenities as described by the owner. The kids loved the pool and the gardens were beautiful. Overall, a lovely property. 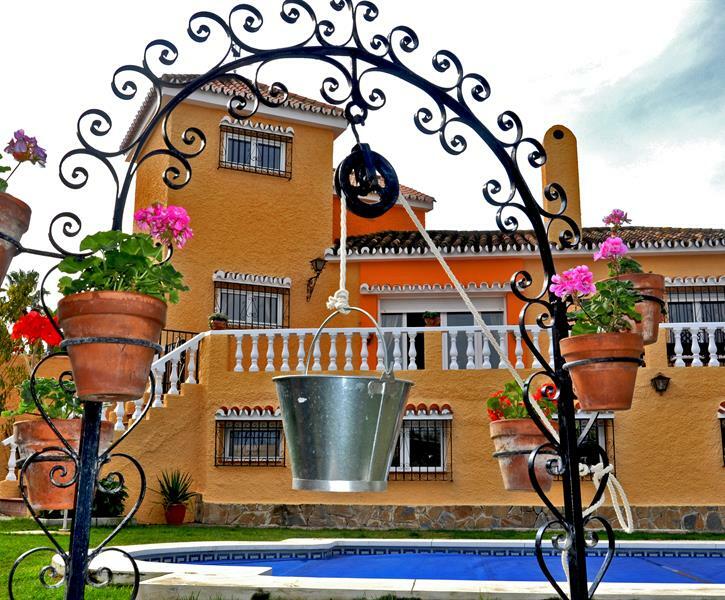 The location was excellent, only 15 mins from Malaga Airport, in one of the nicest towns I have ever seen in Spain. The location in town was perfect also with very convenient access to Benalmadena Puerto Marina and Costa Benalmadena. This made it very easy to make last minute decisions to go out in the evening, without the arrangements usually required when staying in villa. Overall, the property was really nice and I would recommend it to anybody considering renting.